I ordered a new planner for 2016 in June. A bit early perhaps, but I was doing my 6 month shopping ban starting July, and even though I'd given myself permission to buy a planner, I figured then was as good a time as any. I was never a planner kind of girl.. before blogging. Then everyone was talking about them! They twisted my arm and I bought a Kate Spade planner, which was great for a newbie like me (and cheap-ish, I paid $27), but I wasn't a fan of a few things and knew I would go elsewhere for 2016. I never actually thought I'd get addicted to using the planner, but ever since I started I have been way more organised and it's just easier for me than trying to use an electronic planner. After Paige, Joey, Steph and a million other bloggers mentioned Plum Paper Designs planners, I was sold. and the layout of your pages, which was a huge deal to me. I chose the daily columns just lines (option 3) layout. I added the monthly bill tracker (my heart might have fluttered when I saw it) for only $2 for 12 pages (1 per month). Obviously as it is not 2016 yet, I haven't really used it. But the plan is to use the weekly list (on the left hand side) for meals, the checklist at the bottom for workouts and in the daily lines I'll write any cleaning, chores, birthdays, planned events etc. I will use the monthly pages for blog posts, which is way better than my old way of using the individual days. Total cost of my planner, including the add on and shipping, was $38.45. I went to their facebook page to ask them a question and found a coupon instead. It was only like $3 off but who cares. If I use it every single day it's about $0.10 a day and I'm fine with that. I ordered it on the 30th of June and it took 3 weeks (and one day) to be shipped. It was shipped on a Thursday and I received it the following Monday. It comes bubble wrapped in a pizza box, which I thought was nice so it doesn't get damaged in shipping. As you can see, you can personalise your name on the cover. The year on the cover will reflect the year/years of the planner ordered. Since I ordered from January on, I was really hoping it would just say 2016 and not 2015-2016 (I ended up confirming it with them a few days after I ordered). I know that Steph mentioned hers was only 2015 but it said 2014-2015 so they have thankfully they have updated that process. The front cover is a hard plastic and then the 'page' with your name and year on it is like a thick card stock. I think as long as you take reasonable care of it and don't run over it with your car, it will be fine. You can make it begin any month you choose, and you can add extra months (there are page limits though). I like my things nice and even, and I didn't like how long my Kate Spade planner was, so I opted to start in January. When I first received the planner, I was slightly disappointed that the bill tracker I ordered was inserted at the end of the month. I didn't have one in my Kate Spade planner so I just used a page at the beginning of the month to write out all my bills so I could cross them off as I paid them, and I found it really handy. So when I saw they had an actual page and not just me making a messy list, I was so excited, but for some reason I expected it to be at the start of the month. It's certainly not the end of the world, and I am already over it but just an FYI if you get add ons. The bill tracker is 2 sided, which is kind of cool. Thankfully I don't have so many bills that I'd need both sides. Update: it actually says on the picture for whatever add on you are choosing 'end of month' so that's completely my fault. No big thang. If you look at the month of April above, you'll notice a line missing. I actually didn't see this at first, Kathy noticed it in her planner and then I checked mine. Not the end of the world, but kind of annoying. At the end of the planner, there is a 2 Sided Pocket Folder. They also sent these two cute little note cards. The planner is 7.5" x 9". It's actually thinner than my Kate Spade planner, but definitely heavier (in a good way) and a bit bigger. Some other things to note: I ordered the monthly planner, but they have many others like a teacher planner, student planner and family planner. 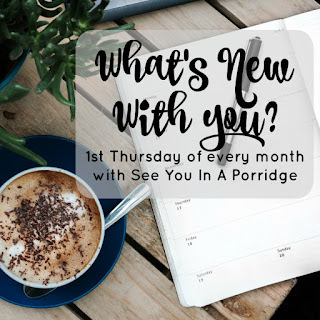 You can also add on a bunch of things, like monthly bill trackers, to do lists, extra note pages, fitness tracking and there is even a blog planning section. So if you are looking for a new 2016 planner, I mean, I know it's only August but like I said they'll take a bit over 3 weeks to get to you and I imagine they'll be crazy busy towards the end of the year, so... you should definitely think about getting one now! And if you do decide to go with a new Plum Paper planner, I have some good news- I contacted them because I love my planner so much I begged them for a coupon code for everyone else. Use code PORRIDGE10 to get 10% off. It's valid until 12/31/15 so you have plenty of time! UPDATE: I have had several people tell me that the coupon does not work. Please copy & paste exactly how it is written - all in caps and the numbers 1 and 0, not the letter O. If it does not work, please try SIMPLE10. Ahh so many cute planners right now! I LOVE the colorful tabs on yours and the fact it's personalized! SO cute! i love looking at planners. i just can't get the hang of the calendar on my phone--i need to write stuff down. it's crazy. i have one from target but have debating if i should go all out and get a fancy one! happy weekend, kristen! YAY!! i skipped over all the other posts i had to read and went straight for this one because Planner. i got the same layout as you (#3) and i can't wait to get mine!! i've been tracking it errday since it shipped but it's either stuck in cali (rage) or stuck at the CAN/US border (more rage) because there's been no movement or updates from the UPS site since aug 11 WTF, MAN. i'll have to call my canada post friend to see what's up. I'm planner obsessed. This is sooooooooooo cute! 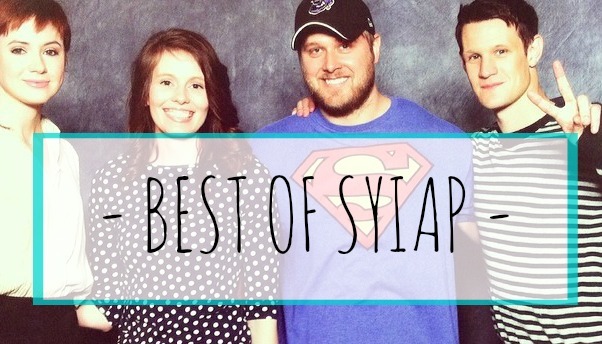 Love that you have so many options of layouts. I love me some planners. I have an Erin Condren and though there was some stress initially I do love it. I am actually going to post an update on how I use mine. Ok. I'm totally loving it. I'm only worried that wire will twist & come out of the lower holes. That happened with jy EC planner. Has anyone mentioned that? I've had one and was pretty hard on it. The wires held up great. I was worried about that too. I bought one last year and loved it. What a gorgeous planner! I love the design and colors you chose, so fun! OHHHHHMERRRRRGERRRSSSHHHH!!! I told you I wrote down in my current planner to purchase a 2016 (for Sept), and then you go and post this?! I'm ordering one. I love how I can design the inside of the planner to suit my needs. My beef with my current planner is there isn't enough room. And I love me a good monogram! I hope you get a kickback/this is an affiliate link. Ordering this afternoon!! THANK YOU! How have I never heard of this company? Like Gretchen, I hear about Erin Condren ALL The time. But this one is new to me and I love that you can customize it so much! 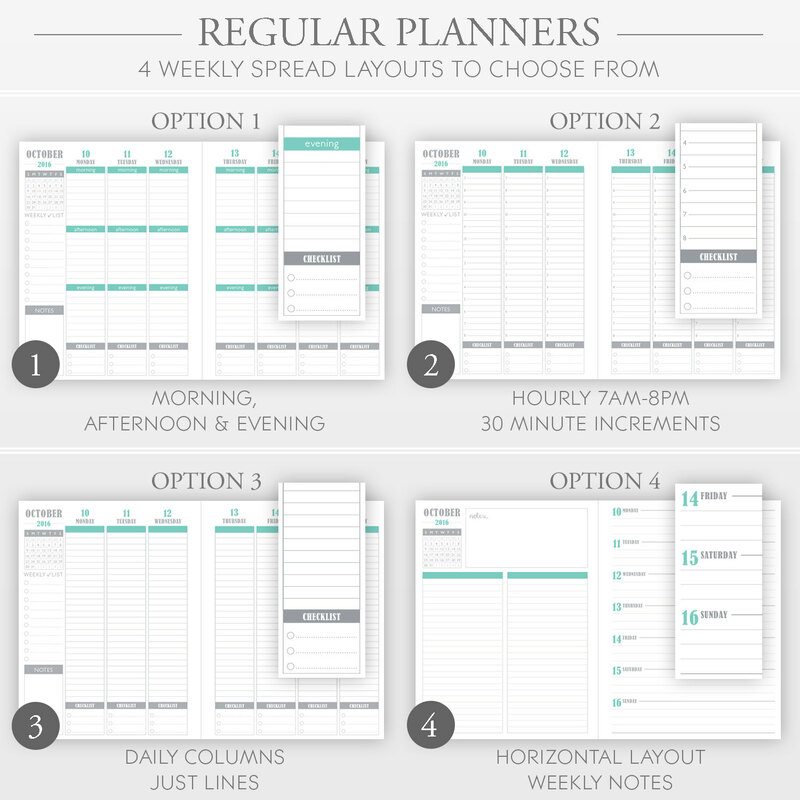 I don't think I actually need a physical planner (I use my phone and a notebook at my desk) but it's nice to know there are other options besides what you can find at Target or Office Depot! I bought a cheap-o planner this year since it's the first year I've really needed one. Hello school kid in the house. I might splurge next year depending on how much use the cheap-o gets. I love planners, I blogged about the one I chose earlier this week. I love how this one can be broken down by time of day. These are so fun! I love a good planner. eee I am so super freaking excited to get mine!!! I love planners and have been on the hunt for a new one. I will have ot check to this one out. I really like this one. Thanks for your review. I have used Erin Condren for 5 years now and have already ordered mine for 2016. However, I am disappointed with my 2016 planner and wasn't super happy with my 2015 one. So, I will not be ordering an EC planner in 2017 (unfortunately). I have been looking into the Plum Paper planners for 2017. So glad you posted about these! I use an Erin Condren but my MIL is a hairdresser and wanted a cute planner with the time increments and this will be a perfect gift idea for her!! It's sooooo pretty! *insert all the heart eye'd emojis* I love how you can break down the days because I definitely need that in my life! 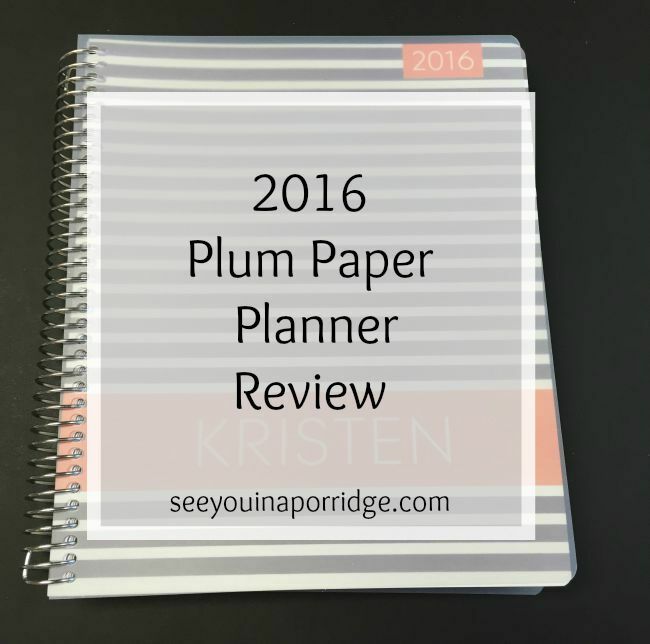 I'm super excited to read this post because I also bought a Plum Paper Planner! I've been a paper planning for about a year and printing my own pages and sticking them into a 3-ring small binder. Fine but I'm getting tired of it! I added 3 months to mine and got extra checklists added to the back. (The description of the bill tracker (and other pages) does say it adds to the end of each month, but maybe they'll take your feedback and add an option of where to add it!). Mine starts Oct 2015. This is really a great planner! I had to find a thin lightweight one because my previous one I swear it was adding another 5 lbs onto my already daily luggage. They are definitely more affordable than the EC ones and I like yours better! I love the design you picked, it is so pretty!!! I wish I could get better about using a planner. I did great for 4 months then quit with mine this year. If I did get better to get a fancy planner, I would want this one! lol, I've been looking at planners all week. I usually buy one and then only use it for a few months. But it's August and I'm still using mine! My sister has actually got me thinking about a fauxdori where you sort of build it yourself. These are cute though, I'll have to check it out. Uhm...am I the only blogger that doesn't own/use a planner? That is SO cute, but I know I'd never use it. AHHHH! I LOVE planners. It's a sickness. My sister-in-law was telling me about how this Youtuber she follows makes her planner do double-duty as a journal/planner. I'm really intrigued by that idea and am thinking I need a bigger planner. SUPER cute! And very reasonably priced compared to some of the other personalized planners out there! Okay. So I've never not used a planner, but I've pretty much been using the same standard week/month one since high school. I really never thought I needed anything more and never felt like I was missing out not having a fancy planner. This post is honestly the first one that made me think differently about that. Just having extra space in the week view would be so helpful, especially given all the things I'm juggling right now and know I'll continue juggling in the future. So even though I've been planner-dependent forever, congratulations on finally being the person to convince me I needed to upgrade. ;) Thanks for the coupon code too! It will definitely be put to use before the end of the year. What a cool planner! I just bought one at Target and I love it. It's the Day Designer planner. It has these 3 columns at the beginning of the month that I use to track my spendings. So handy! I'm so happy to see this post. I've been shopping around for a planner. This will be my first hard copy planner purchase instead of using my calendar on my computer. After checking out MANY different companies and designs, this is my top choice. Ooh I may have to check these out. 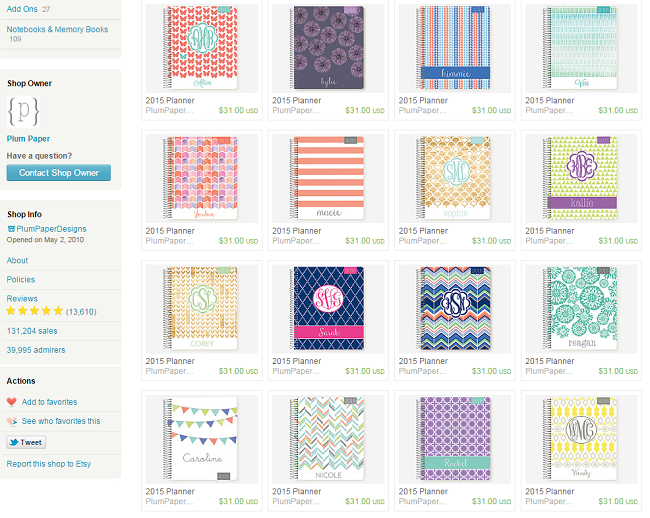 I love my Erin Condren planner, but I am not in love with the price! I really like the cover option you chose! Super cute. Sounds like it's pretty customizable which is so nice. That is my main gripe about buying planners! They are never exactly what you want. Thank you so much for this thorough review! I'm a huge hard copy planner girl - have been since pretty much birth - so I'm always on the lookout for a new one. I haven't been overly impressed/happy with my Kate Spade planner either, so I'm anxious to start anew for 2016. I think I'll definitely be looking into this one - I love how you can customize pretty much all of it. I love me a good planner! this one looks great. This is super cute. My current planner is the Erin Condren and I don't love it. I do love the way your plum paper looks though, and the price is WAAAAAY better! Your planner is so adorable! I've been using a Midori since the beginning of May and I absolutely adore it, but I'm a huge planner nerd so I still love to see what everyone else is using. I'm so addicted to my planner. It's like my standing Sunday night date. I do weekly "themes" and everything :) I have one by Erin Condren but the Plum Paper looks just as good and quite a bit cheaper! Might check them out for next year. Funny how blogging suddenly makes you wanna be organized right? 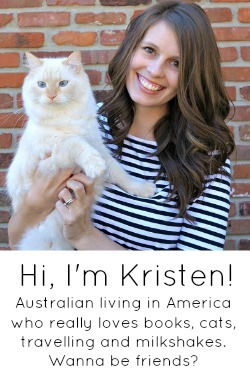 I just found your blog and I am so excited to follow along! I am a planner nerd and I have never heard of this company so I am heading to check them out NOW! Thank you for the great comparison and the coupon code. I ordered the Plum Paper large teacher planner. I wasn't thrilled with any of the cover choices and hope the insides will make it worth the money.. It was half of what I would have spent for the EC planner. I'm sorry Melissa - I hope you were able to get it to work. Have you contacted Plum Paper? It should be valid till the end of the year. I just ordered my planner for 2016 and already can't wait for it! I've been doing research on all the NEW/UPDATED planners for 2016. I finally decided on this one because the weekly layout worked out best for my job...plus with the additional add-ons and stickers...amazing! The coupon code worked for me ^ did you use all caps and the number 10 not a O.
that's a great point, thanks Kristin! I hope the coupon code is still valid. The coupon code didn't work for me either. I copied and pasted it right into Etsy and it said it was expired. I am so sorry Amy, thanks for letting me know! I have reached out to them. The coupon code was expired for me as well. I wrote a note to Plum Paper, we will see what happens. This is my 2nd Plum Paper planner and I just love it! thanks for letting me know Karyn, I am so sorry it didn't work for you. I have emailed Plum Paper to find out what is going on! SO...I'm WAY behind but glad you like your planner. I've been so awful keeping up with mine this year which stinks because I paid for it but will definitely be ordering another for 2016! Just an FYI - SIMPLE10 does not work but PORRIDGE10 does. Great review- thank you for this post and all of the helpful comments and coupon code as well. thank you for your review. it pushed me to by my 2016 planner for there! yayy thanks Allie! hope you love it. Thank you for your review! I am so excited to order one :) I am just kind of confused about the ordering details. You said that you ordered a monthly planner, but it also looks like you got option 3 from the regular planners... Do the monthly planners automatically come with the entire month and the column option? sorry for the delay, I was on holiday! so when you order the monthly planner, you get to choose from 1 of 4 weekly layouts, regardless of which one you order (column, horizontal, hourly etc) you still get the entire month layout at the start of the month. hope that helped!! Code worked !!! I copied and pasted the code from this website into the discount box. I saved $5... Thank you so much for the review and the discount code. yay, thanks Misty! hope you love your planner! I hope you get some freebies or a bigger discount for all the people you refer with your coupon code! Thanks so much! I just used it and ordered my first real planner with Plum Paper. SO EXCITED!!! haha that would be nice Laura! Hope you love your planner! I just tried the coupon code (copied and pasted it) and it didn't work. Has it expired? hello! i couldn't find your email address so i hope you see this :) it has not expired, they told me it would be good until the end of the year! did you try the other one? I just placed an order using the coupon code provided!! Thanks for the 10% OFF! Can't wait to get mine!! fabulous, thanks Elisa! hope you love it! PORRIDGE10 worked for me! Just ordered mine! thanks Leigh! hope you love your new planner! For an even more affordable planner option, I like the Quo Vadis planners because the poet is high quality (90gram in most cases) and there are many layouts to choose from. Depending on the size of the planner, you can pick different covers, and the cover is refillable. At the end of the calendar year you can spend less to replace the planner itself and use the same cover. Meant to say "the paper is high quality"
I just order mine, unfortunately the code did not work....still before midnight. I will give them a call Saturday morning. oh no! hope you get it sorted! Do you have a code for this year??? Please say yes!! i do not, sorry Ames! Looking at planners and I finally pick Plum Planner. Love the lay out. Now how to order. This will be my first time.